On 22nd February Behgjet Pacolli (Alliance for a New Kosovo, AKR) was elected president of the Republic of Kosovo by the Parliament. He won 54 votes during the first round of voting and 58 votes during the second round i.e. below the 80 necessary (2/3 of the members of Parliament) to be elected in the first two rounds. He was therefore appointed in the third round with 62 votes. 67 MPs only were present to vote since the opposition members chose to boycott the presidential election. The Democratic League (LDK) led by the Mayor of Pristina Isa Mustafa denounced the organisation of the general elections on 12th December which he believed to be "unfair, biased and undemocratic." The Alliance for the Future of Kosovo (AAK) led by Ramush Haradinaj said that matters had been corrupted from the beginning and that he doubted whether Behgjet Pacolli will work for the good of Kosovo in the future. Finally the movement for self rule (Vetvendosje) led by Albin Kurti believes that Behgjet Pacolli is not qualified to serve as president either from a political or personal point of view. "I am going to work for the rule of law and for a State in which no one is above the law. I will provide strong support to the fight to counter organised crime," declared the new President Behgjet Pacolli. The Head of State declared that he had Marshal Tito as a model – the latter governed Yugoslavia from 1953 to 1980 and also former Croatian President (2000-2010) Stjepan Mesci. He says he supports dialogue and cooperation with Serbia and wants to see Kosovo work more closely with Russia and Arab countries. 59 year old Behgjet Pacolli, who has dual Kosovar and Swiss citizenship, is an entrepreneur. He left his country in the 1970's to study in Germany. He then worked in Austria before moving to Switzerland in 1976 where he founded the company Mabetex in Lugano in 1990 – he is still the head of this company. In 1976, the latter comprised 7 employees – today there are 10,000 staff working in several European countries. Behgjet Pacolli is considered the richest man in Kosovo. His fortune is estimated at 2.2 billion €. His fortune has been made thanks to the contracts his company has signed with Russia and Kazakhstan. In 1993 Mabetex undertook renovation work on the Russian Parliament and built the Kazakh Presidential Palace in the Astana. The company has also built several houses and other industrial sites in Russia. In 1999 Behgjet Pacolli was suspected of having paid Russian representatives to win the Kremlin's renovation contract and of having brought hundreds of thousands of dollars illegally into Russia and finally of having helped former Russian president (1991-1999) Boris Yeltsin to place funds of suspicious origin in Swiss banks. The business man was also under investigation by the Swiss police and the Mabetex premises were searched. The investigation came to nothing however and because of a lack of evidence it was abandoned in 2002. Behgjet Pacolli's links with Russia, a country close to Serbia and against Kosovo's independence, are not greatly appreciated by his fellow Kosovars. 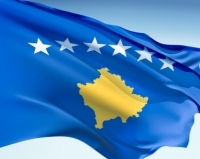 "We are opening a new chapter, that of European Kosovo, that of reform and development," declared Hashim Thaci (Democratic Party, PDK) who was re-elected by Parliament to his post of Prime Minister. "I shall fight for the liberalisation of the visa regime," he added. Apart from the Democratic Party Hashim Thaci's government rallies the New Kosovo Alliance, the party of President Behgjet Pacolli and the Independent Liberal Party (SLS) the main party of the Serb community in the country. This coalition is the first in which a Serb has been given the post of Vice-President. Ukë Rugova, son of the former President of the Republic (2002-2005), Ibrahim Rugova – recently split from the Democratic League and stood under the label of the Alliance for the Future of Kosovo in the general elections on 12th December last and also integrated the government coalition. The politicians who are under investigation for corruption were not included in the government. The latter, which has the support of just half of the members of parliament, remains extremely weak.